Smartphones have long become an integral part of our lives. What innovations should we expect this year? More than 600 companies produce smartphones worldwide, but only a dozen of them control 79% of the global mobile phones market. The top manufacturers include South Korea’s Samsung (19%), the US’s Apple (12%), Japan’s Sony (4.4%), and an entire cohort of Chinese manufacturers — Huawei (13%), Xiaomi (9%), and many others. Quite a few manufacturers announced presentations of their new smartphones long before this spring. Most of these events were held as part of the Mobile World Congress in Barcelona, Spain, but separate presentations were organized in other countries as well. If you’re a student tasked with writing an essay about smartphones, you can use a custom writing service to get it done quickly and easily. So, what smartphone models are the trendiest in 2019? Apple is planning to launch a new generation of iPhones in the fall of 2019. Meanwhile, the company offers its customers the best model of 2018 — the iPhone Xs Max. It is the largest smartphone Apple has ever produced. Its oversized edgeless screen is the gadget’s main feature. 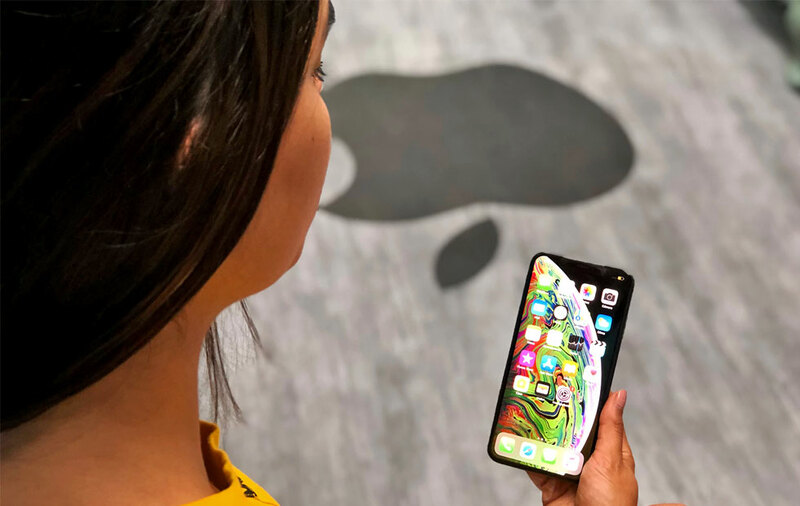 The Xs Max has a 6.5-inch display with a resolution of 2,688x1,242 pixels. There are also two SIM-card slots, one of which is for eSIM cards. The Xs Max runs iOS 12 and is powered by the A12 Bionic processor. Face recognition works a lot faster, and the camera is now capable of adjusting the image sharpness after a picture is taken. The 64GB version costs $1,099, while the 256GB one will set you back $1,249. The iPhone Xs looks like the discontinued iPhone X, with all the dimensions remaining entirely unchanged. It has a 5.8-inch screen and an OLED matrix with a resolution of 2,436x1,125 pixels. The only innovations are a more durable glass and the powerful A12 Bionic processor. The internal memory is 512 GB. The rear camera has a double module with a resolution of 12 MP and 7 MP. The sensor size increased from 1.2 to 1.4 microns which means that it can now capture more light. The phone’s water resistance has been upgraded to IP68. The fingerprint scanner has been replaced with face recognition. Although there are two SIM card slots, the second slot is for one virtual eSIM card. The 64GB version costs $999, while the 512GB one is priced at $ 1,349. Better protection from dust and moisture. 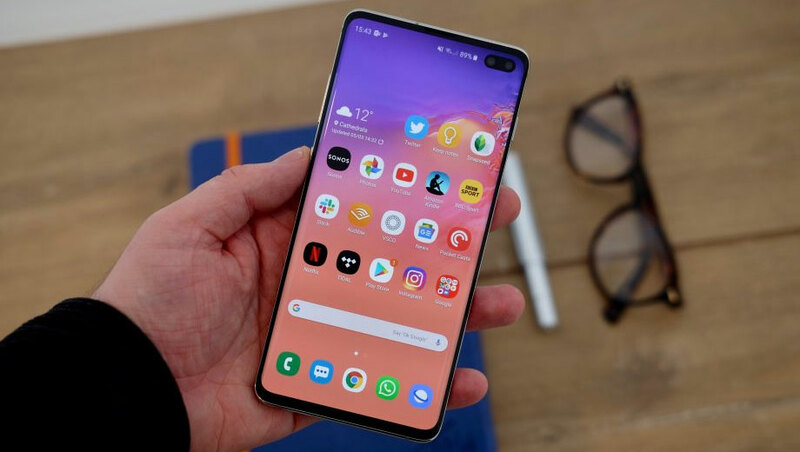 On February 20, 2019, Samsung has introduced a new line of smartphones: the S10, S10 Plus, and S10 Lite. The S10 Plus has a 6.4-inch screen, while the S10 and S10 Lite have 6.1-and 5.8-inch displays. The first two models are not much different; only the Plus version has a slightly larger screen and a more capacious battery. Both gadgets have a triple camera with a horizontal layout and artificial intelligence support. The S10 Lite has a dual front-facing camera. The S10 Plus has 12 GB of RAM and 1TB of internal storage. All three smartphones are powered by the Qualcomm Snapdragon 855 processor or the eight-core Exynos 9820 chipset. The S10 features a brand new design. All three modules of its rear camera are arranged horizontally, and not vertically (as it was the case in the previous models). The S10 series phones have large Infinity O screens with cutouts for front cameras. RAM has been expanded to 8 and 12 GB. Another useful feature of the S10 series is the possibility to use them for wirelessly charging other devices, such as smartwatches, headphones, and even other mobile phones. The smartphones feature a 3D facial scanner and a fingerprint sensor built into the screen. They are all water-resistant and can be unlocked in several different ways. The fingerprint scanner is located directly on the display. The S10 is priced at $850, while the S10 Lite and S10 Plus will set you back $1,000 and $1,180 respectively. Slightly unresponsive and laggy touch screens. The fingerprint scanner does not work correctly with protective glasses and films. Also, the module is backlit causing it to be visible at a certain angle. This year, Sony has unveiled its new flagship — the Xperia XZ4. This is the first Sony smartphone with an aspect ratio of 21:9. 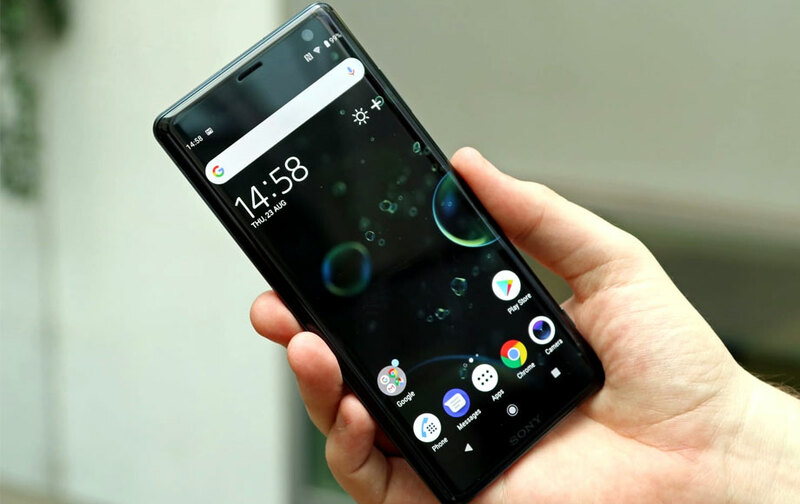 The Xperia XZ4 has a 6.5-inch display, 3,900 mAh battery, Snapdragon 855 processor, 6GB RAM, and 256 GB internal storage. The phone has a triple main camera, with all three modules positioned vertically. The XZ4 features a 48-megapixel IMX 586 sensor. The top frame is designed for placing a dual selfie camera, speaker, and proximity sensor. Gorilla Glass 5 and a 3 mm aluminum frame give the device a stylish look. The curved edges of the screen are used for touch input, while AI helps to operate the device more effectively. The smartphone is water-resistant and costs $900 in the US. Excellent build quality with attention to detail. Xiaomi has announced the release of its Mi 9 smartphone in the first quarter of 2019. 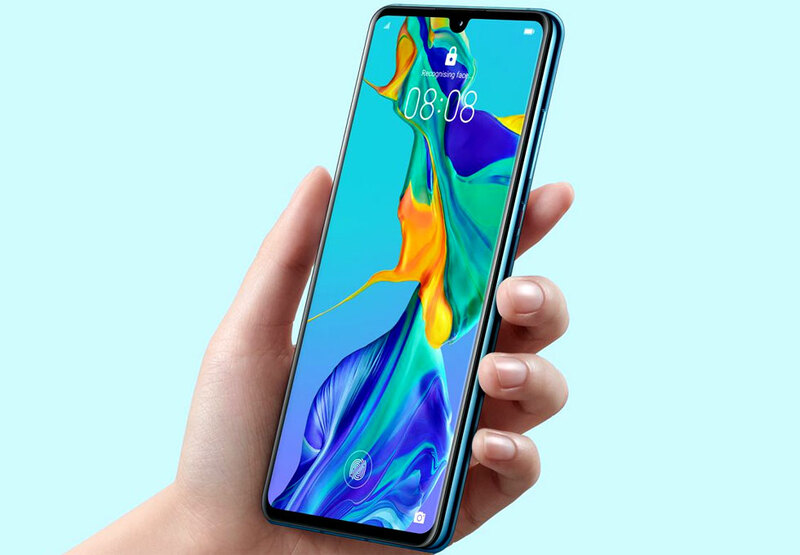 The device has an edgeless 6.4-inch AMOLED screen with a built-in fingerprint scanner and a triple front-facing camera with a 48-megapixel IMX 586 sensor. It also features two additional wide-angle sensors and optical zoom. The device’s AI not only helps you take cool pictures but also monitors the optimal power consumption. Thanks to that, the gadget can go without recharging for up to two days. Its 3,700 mAh battery, which is based on the Qualcomm Quick Charge 5.0 technology, supports wireless charging. The device also supports 5th generation cellular networks. 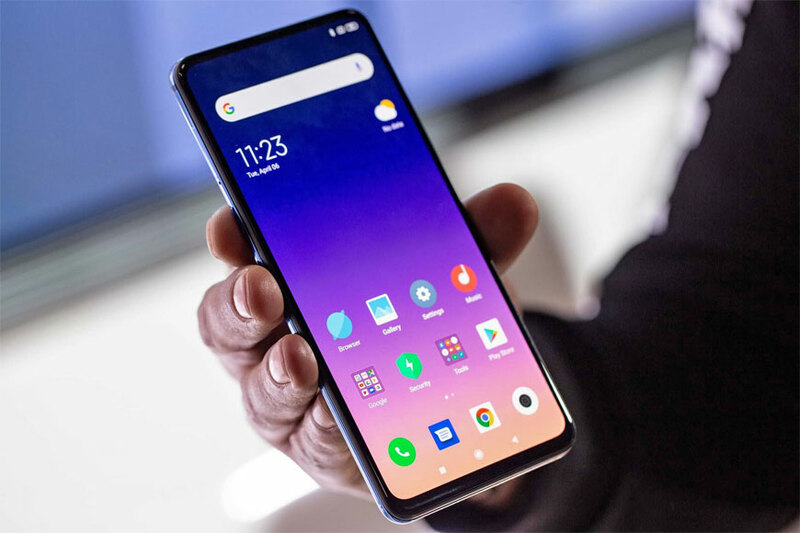 The Mi 9 has become one of the most powerful Android smartphones. It comes in two versions - an 8/128 GB one and a 12/256 GB one. The price is expected to be $550, which makes it one of the most affordable Snapdragon 855-powered devices. A fast wireless charger is not included. This spring, Huawei has unveiled its new flagships - the P30 and P30 Pro. The first device has a triple 38-megapixel camera with a Sony IMX607 sensor, while the second one features an entire quartet of sensors. The camera has a ToF-module with a laser focus, which immediately determines the distance to objects. In both models, the modules are placed vertically on the left side of the case. The P30 Pro’s front-facing camera is located in the teardrop-shaped notch, while in the P30 it is found in the screen hole. The fingerprint scanner is also located on the screen. Both gadgets are powered by the HiSilicon Kirin 980 eight-core processor. At the moment, this is the most powerful Huawei chipset which was first used in the Mate 20 flagship model. The price of the P30 Pro is estimated at around $1,170 for the 128 GB model. Some users complain of a large number of excessive functions and settings.